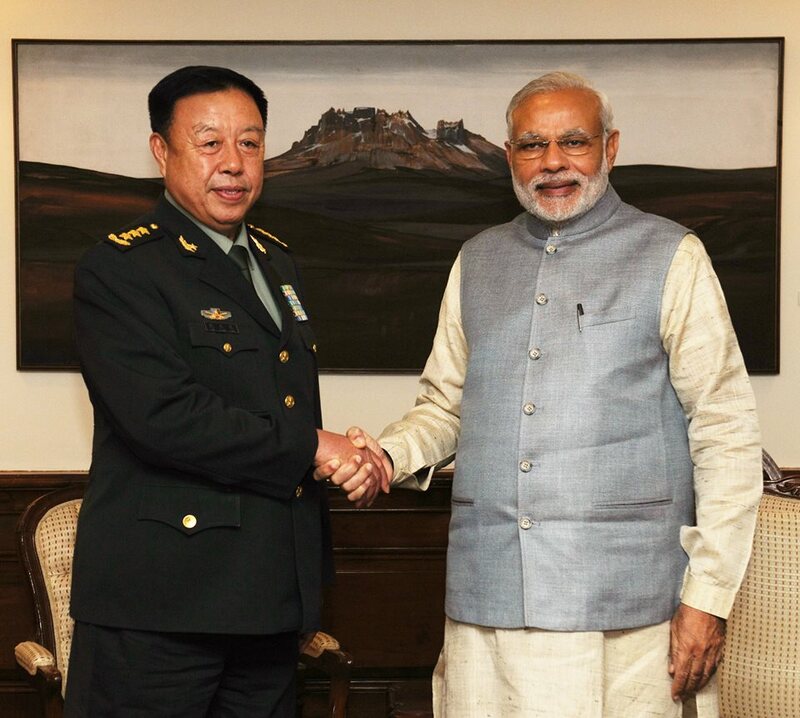 A 26-member delegation of the People’s Liberation Army (PLA) headed by General Fan Changlong, Vice-Chairman of China’s powerful Central Military Commission (CMC) visited in New Delhi this week. “Pakistan is also a victim of terrorism. In the past few years, Pakistan has been fighting terrorism with a lot of casualties,” he affirmed. Let us not forget that General Fan’s delegation had earlier visited Pakistan. In near-simultaneous attacks on November 13, assailants armed with assault rifles and wearing explosive belts targeted six sites in Paris killing more than 120 people. The serial attacks have been described as the worst violence in France since World War II, the deadliest in the European Union since the Madrid train bombings in 2004, and by some analysts, as the first suicide attack in France. French President Francois Hollande deemed the shootings and bombings “an act of war”. He has declared a state of emergency in France and enhanced its border controls with neighbours. LONDON: On November 13 at London’s storied Wembley Stadium, globalization met traditional politics from another continent. Indian Prime Minister Narendra Modi, making a state visit to the UK, received a warm public reception and song-and-dance extravaganza. The gathering of some 60,000 British Indians selected through community organizations had a serious purpose – build a database of overseas Indians to help reelect Modi’s Bharatiya Janata Party, or BJP, in 2019. The party’s 2014 landslide win was supported by many non-resident Indians. Building on that success, BJP’s central office has focused on bolstering its Overseas Friends of BJP arm to induct the diaspora into reinforcing its machine with internet skills and generous donations to the party through meticulous planning and implementation presented as spontaneous exuberance of overseas Indians for Modi. This is the first in a two part series by Fergus Green, climate policy consultant and researcher, London School of Economics and Political Science and Richard Denniss, chief economist, The Australia Institute. This post examines trends in coal demand. Part two will focus on proposals to regulate supply, including the call for a moratorium on new coal mines. Ask a climate scientist what keeps them up at night and chances are it’s the potential for continued warming of the climate to trigger a tipping point — an abrupt, system-wide change that is difficult or impossible to reverse — in one or more of the Earth’s key climatic systems. Compared with these growing risks to physical systems, the pace of human action to tackle the causes of climate change can seem grindingly slow. But human systems have tipping points, too; something that can seem impossible one day can suddenly acquire an unstoppable momentum. The world is focused on Europe and the Levant this week, but the White House should grab a chance to address the fault lines in the US-Pakistan relationship. The White House will devote substantial attention to Pakistan’s army chief when he arrives in Washington this hectic week. This will prove a wise use of precious time and energy — if Obama administration officials seize the opportunity for frank and open talk. Gen. Raheel Sharif arrives on the heels of last month’s visits by Prime Minister Nawaz Sharif (no relation) and the director of Pakistan’s spy agency, Lt. Gen. Rizwan Akhtar. One might assume that such a procession of senior Pakistanis is teeing up a diplomatic breakthrough after years of mutual mistrust and despite fundamental differences of interest between the United States and Pakistan. Don’t bet on it. Rumors of a nuclear deal between Washington and Islamabad, for example, are overstated and premature. Last month saw another missile launched by the Special Inspector General for Afghan Reconstruction (SIGAR). In doing so, SIGAR renewed its attack on what was arguably the most catalytic wartime agent for economic development since the Marshall Plan, the Defense Department’s Task Force for Business and Stability Operations (TFBSO). This time, after a long string of SIGAR attacks on other strategic development projects, the target was a TFBSO-funded compressed natural gas (CNG) fueling station. The CNG project was a small but critical part of the billion-dollar, multi-donor, public–private effort to bring Afghanistan’s giant Shebergan gas field back into production. That ongoing effort includes the full spectrum of gas production, processing, transmission, and distribution infrastructure, along with market development, capacity-building, and establishment of the legal, regulatory, and policy frameworks to make it all work. With more than 120 people killed in Paris, government officials are already touting the City of Light as the case against encryption. “Change” is a word that crops up in many conversations in Burma these days. Three years ago, when I last visited, the country’s biggest city, Rangoon, had no modern shopping centers, no ATMs, no night clubs. Now it has all of them, in startling profusion. Cars were relatively few; today there’s a traffic jam at every corner. In 2012, cell phone networks were so rudimentary as to be irrelevant, and finding a decent Internet connection was a struggle; Facebook, which welcomed its first users just a few months before I arrived, boasted a few thousand customers in the entire country. Today half of Burma’s population of fifty million has smartphones, and virtually all of those phones are connected to the Internet. Experts put the number of Facebook users at six and a half million. The China-India relationship is remarkably stable in many ways. Bilateral summits and new multilateral groupings often bring the two Asian giants together in common cause. Both sides clearly appreciate the value of peace as a way to expand their trade and investment ties and to enable a continued focus on economic development at home. Yet important differences and suspicions persist; some date back to 1962, when India lost a short but decisive war to China. Others relate to the rising global ambitions, military capabilities, and political and economic influence of these two Asian neighbors. Although Beijing and New Delhi have repeatedly demonstrated a mutual desire to prevent conflict and mitigate tensions when they arise and have avoided a serious violent clash since 1967, the potential for their relationship to deteriorate is ever present. No single issue or crisis is likely to produce this result. However, a series of disputes in quick succession or their simultaneous emergence could lead to an armed confrontation worse than any since the 1960s. A border clash could inflict dozens of casualties, jolt global markets, hurt regional economic growth, and undermine cooperative China-India efforts on regional and global issues of concern to the United States, including counterterrorism and counterpiracy, even if both sides managed to avoid a more serious military escalation. Yet ISIS is hardly the first extremist movement to combine violent tendencies, grandiose ambitions, and territorial control. Its religious dimension notwithstanding, the group is just the latest in a long line of state-building revolutionaries, strikingly similar in many ways to the regimes that emerged during the French, Russian, Chinese, Cuban, Cambodian, and Iranian revolutions. These movements were as hostile to prevailing international norms as ISIS is, and they also used ruthless violence to eliminate or intimidate rivals and demonstrate their power to a wider world. Let there be no doubt: If the radical jihadists responsible for the latest assault on innocents in Paris get their hands on weapons of mass destruction, they will not hesitate to use them. There is no limit to the horrible acts terrorists will carry out in pursuit of their ideological agenda. The best way to stop a WMD attack is to prevent terrorists from obtaining nuclear materials in the first place. The attacks in Paris by individuals associated with the Islamic State, coming on the heels of bombings in Beirut and the downing of a Russian airliner over the Sinai Peninsula, reinforce the reality that the terrorist threat has entered a new and even more dangerous phase. Just why the Islamic State decided to stage its attacks now is a matter for conjecture; it may well be that it is going global to compensate for its recent loss of territory in Iraq. But whatever the rationale, what is certain is that a clear response is warranted. Actually, the challenge posed by the Islamic State calls for several responses, as there is no single policy that promises to be sufficient. Multiple efforts are needed in multiple domains. One is military. More intense attacks from the air against Islamic State military assets, oil and gas facilities, and leaders is critical. But no amount of air power on its own will ever get the job done. A substantial ground component is needed if territory is to be taken and held. Why Did France’s Intelligence Services Miss the Paris Terrorist Plot? PARIS—In the wake of the Paris attacks, wary and overstretched European intelligence services are asking themselves what more they can do to prevent the kind of terrorism that struck the French capital. The information emerging about the planning of the attacks and those involved is raising the question of why France’s security services missed the plot, why they overlooked militants they had already identified, and why, along with their counterparts in neighboring Belgium, they failed to interdict some of the militants on their return from Syria. The intelligence services admit that out of a terror network they believe included 24 people, five were returning fighters from Syria. Francois Hollande: Paris terror attacks an "act of war"
Martin van Creveld asks: Has a new Thirty Years’ War begun in Europe? Summary: Today Martin van Creveld gives us a chilling warning, one that appears more accurate after the attacks on Paris. Our invasions after 9/11 destabilized the Middle East, and the resulting fires slowly grow hotter and spread. If events follow the course of the Thirty Years’ War, much worse awaits us in the future. For those of you who have forgotten, here is a short reminder. The Thirty Years’ War started in May 1618 when the Protestant Estates of Bohemia revolted against the Catholic Emperor Ferdinand II. They threw his envoys out of the windows of the palace at Prague. Fortunately for them, the moat into which they fell was filled with rubbish and nobody was killed. Each year more than 300,000 service members enroll in college degree programs from accredited institutions, many using military tuition assistance or GI Bill education benefits to fund their educational pursuits. Some 2,735 accredited colleges and universities across the country participate in the Defense Department’s Voluntary Education Partnership Memorandum of Understanding in support of voluntary education programs. These institutions are all accredited by national or regional accrediting agencies recognized by the Education Department. They award academic credentials broadly recognized by their peers and by federal and nonfederal employers alike. A general and former division commander, then overseeing Army Unit Training in the Pentagon, once told me that Army voluntary education sits precariously on a “three-legged stool.” One leg supports Army training. A second leg supports military personnel management — recruitment, retention and similar. The third leg supports soldiers’ personal goals for educational development. He warned that when one leg becomes longer than the other two, the stool tips over and the soldier is not well-served. The massacre of innocents in Paris has brought to the forefront a dramatic shift in ISIS’s tactics and strategy. For some time it has been widely believed that ISIS’s overriding aim is to capture and hold territory and create a single caliphate out of the present borders of the Middle East, rather than trying to bomb the West or pull off spectacular attacks like the toppling of the Twin Towers in New York. Such raids on the so-called “far enemy,” aimed at bringing down the capitalist order, have long been the mission of al-Qaeda; whereas the much newer ISIS, in seeking to conquer the “near enemy” in the Levant, has given priority to establishing its caliphate now. We have just come out of a period in which crude posted a modest recovery. Through close on Nov. 3, West Texas Intermediate (WTI) - the crude benchmark traded in New York - had improved to $47.90 a barrel, up 4.3% for the week. Dated Brent, the equivalent benchmark set in London, was at $50.52 - higher than at any point since Oct. 9. WTI closed at $42.93 Wednesday, down 1.4% in the six intervening sessions. Meanwhile, Brent was at $45.83, down 9.3%. Both are sitting at two-month lows. The "culprit" was another anticipated rise in oil production, primarily in the United States. Despite weekly declines in the number of working rigs in the American market (now at the lowest levels in some six years) and, as I noted earlier this week, rising cuts in capital commitments for new projects, the market surplus in oil is once again rising. How Should Nations Respond to the ISIS Threat? Following the terrorist attacks in Paris last Friday, many have called for sharper strategies to counter the Islamic State, or ISIS, that has claimed responsibility. According to some observers, the response must be a full-fledged war, with well-orchestrated international cooperation to destroy ISIS and demoralize its supporters. Others suggest that Western powers must reassess their allies, pressure Saudi Arabia to stop propagating its Wahhabi doctrine that sows the seeds of jihadist Islam, and plan carefully when reconfiguring Iraq and Syria after the defeat of ISIS. “Why us?” is a question Parisians have been asking in despair since the attacks left at least 129 dead and 352 seriously injured. 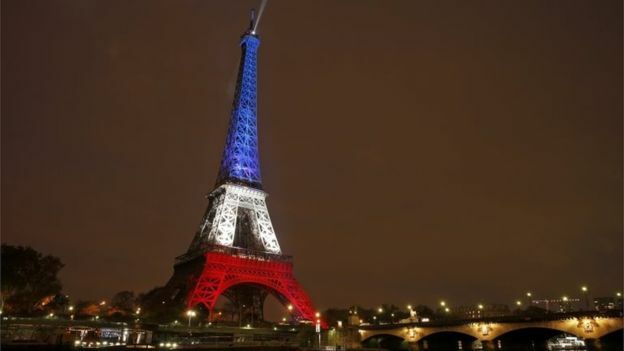 “If you are looking for a symbol, Paris is a great symbol just like New York was [during the 9/11 attacks],” said Erwann Michel-Kerjan, executive director of Wharton’s Risk Management and Decision Processes Center. He added that France is geographically closer to Syria – where the attackers are believed to have originated from — and has been experiencing mass immigration from Syria, Iraq and other conflict-ridden nations. “France is also loud in terms of expressing itself on the international scene,” noted Michel-Kerjan. Finally, France has Europe’s largest populations of Muslims and Jews. The 6,000 Isis sympathizers in France are “very hard to track,” he said. He added that European leaders did not foresee the Isis attacks. O’Leary recalled France’s President Francois Hollande saying after the attacks that “France would be merciless” in its response against ISIS. “If the Islamic State says it is a state and a Caliphate and it declares war on the rest of the world, it shouldn’t be surprising if we respond in kind,” he said. Michel-Kerjan was apprehensive about ISIS scaling up its attacks. He noted that while ISIS was “sophisticated in terms of the coordination” in the Paris attacks, the weaponry it used was simple, such as rifles. “If ISIS starts playing with more dirty bombs and small nuclear devices, that would have a massive impact not just on the level of the threat, but also on business communities,” he said. Michel-Kerjan suggested that a more accurate recognition of the threat the world faces from ISIS is needed. He noted that whereas the Paris attacks touched a chord in the U.S., many people think such events are far away when they occur in the Middle East. “For years, we’ve left ISIS to grow into what it has become,” he said. “ISIS has much more financial power than Al Qaeda ever had. When ISIS moves from where it is now to become a global terrorist organization, they will already have thousands of people positioned.” O’Leary added that the ability of ISIS to use the Internet for recruiting supporters and as part of its communications strategy distinguishes it from other groups. “The current moment provides a wonderful opportunity for international and regional cooperation against [ISIS],” O’Leary noted. He called for actions “to squeeze those who have been soft on ISIS,” noting that “those that have particularly been soft are the Saudis, the Qataris and the Turks, who in other respects are our allies.” He expected the Paris attacks to persuade those in power to give priority to the defeat of ISIS over the removal of the Bashar al-Assad regime in Syria. O’Leary agreed with observers who believe the Paris attackers may have had Syrian identification to enter Europe as migrants or refugees. According to him, the sharp increase in the number of migrants is not just because of the Syrian civil war, but also because Turkey made it easy for migrants to enter Europe. “The U.S. and Europe need to consider how they bargain with President [Recep Tayyip] Erdoğan in Turkey — he has shown an ability to switch that tap on and off,” said O’Leary. He added that the Paris attacks may compel Germany to reconsider its “generous response” to the current migrant-refugee crisis. O’Leary traced those beliefs to the rise of Salafist Islam (Salafi refers to those who died within the first 400 years after the Prophet), which in turn has flourished as a result of Saudi Arabia sponsoring Wahhabism (an orthodox branch of Sunni Islam that developed in the 18th century and advocates a return to early Islam). It doesn’t necessarily mean “that everybody becomes a militant Salafist, but enough of them do to create security problems for everybody else and problems of religious coexistence,” he pointed out. Alongside, any inadvertent fallout among the Islamic population can be dealt with by “appropriate strategies” such as fair employment and non-discrimination, said O’Leary. “In return … they have to accept western, pluralistic, democratic standards, separation of religion from the state, no demands for special Muslim exceptions with respect to core values like female equality and so on,” he added. Internet has become indispensable to the modern-day world. There is a view that access to internet is about right to freedom of expression and few even link its availability and accessibility to the fundamental human rights. Also, it is strongly advocated by many that internet service providers and governments should treat all data on the internet the same, and there should be no discrimination of any kind (Net Neutrality). The dream of ‘Digital India’, an Indian Government initiative that envisages country-wide digital connectivity through broadband highways and access to high-speed internet, is very much in keeping with the universal trend. It has been reported that Google, the search engine giant, is planning to conduct a crucial experiment called Project Loon to increase internet connectivity in India. This project has been in place for the last few years in other parts of the world and Alphabet, the holding company responsible for Google and Nest Labs, is responsible for the execution of this project. The project began with a pilot test in New Zealand in 2013 and subsequently in countries like the United States of America, Australia and Brazil. He’s defaced and shut down hundreds of terrorist websites, inserted false stories into Libyan newspapers, and unmasked fellow hackers who have crossed him. His name is “The Jester” and he has worked alone as an anonymous hacker vigilante since 2010. Though the international “hacktivist” group Anonymous declared cyber-war against ISIS on Monday, The Jester is not among them. In fact, he’s among the group’s sharpest critics. “All they’ll do is dump a random list of names from a previous hack and claim it’s ISIS members, and they’ll report ‘ISIS’ accounts to Twitter. Pretty standard BS from them,” The Jester, who goes by the @the3j35t3r handle and keeps his identity closely-guarded, told Tech Insider in an interview over Twitter. The Cipher Brief sat down with General Keith Alexander, former Director of the National Security Agency. Alexander discussed the Paris attacks, the impact of the Snowden leaks on intelligence collection, and the trade off between privacy and security. TCB: You were the longest-serving NSA director. During your tenure, you saw al-Qaeda at its height and witnessed the rise of ISIS. Is ISIS now a bigger threat than al-Qaeda was? KA: I’d say ISIS is more lethal and more capable. It’s like a form of cancer and certainly the most malignant. I wouldn’t take my eye off al-Qaeda, though. I suspect the group is trying to figure out how to get back in the game. TCB: What did you think when you heard about the Paris attacks? WASHINGTON—A growing belief among intelligence officials that the terrorists behind Friday’s Paris attacks used encrypted communications is prompting a far-ranging re-examination of U.S. policy on data collection and surveillance. Sen. Richard Burr (R., N.C.), chairman of the Senate Intelligence Committee, said Tuesday his panel will launch a review of encryption use. Sen. Tom Cotton (R., Ark.) introduced a bill to extend a sweeping telephone data-collection program due to expire at month’s end. Mr. Burr, emerging from a briefing by senior intelligence officials, said it appeared the terrorists used extensively shielded communications. “It is likely that end-to-end encryption was used to communicate in Belgium and France and Syria,” Mr. Burr said. He said encryption was likely because no direct communication among the terrorists was detected. What he calls “hand-wringing” was the sustained national outrage following the2013 revelations by Edward Snowden, a former National Security Agency contractor, that the agency was using provisions of the Patriot Act to secretly collect information on millions of Americans’ phone records. In June, President Obama signed the USA Freedom Act, which ends bulk collection of domestic phone data by the government (but not the collection of other data, like emails and the content of Americans’ international phone calls) and requires the secretive Foreign Intelligence Surveillance Court to make its most significant rulings available to the public. CHELTENHAM, England (Reuters) - British spies are building elite cyber offensive forces to strike at Islamic State fighters, hackers and hostile powers, finance minister George Osborne said on Tuesday after warning militants wanted to launch deadly digital attacks. Islamic State was trying to develop the capability to attack British infrastructure such as hospitals, power networks and air traffic control systems with potentially lethal consequences, Osborne said. In response, Britain will bolster spending on cyber defenses, simplify its state cyber structures and build its own offensive cyber capability to attack adversaries. “We will defend ourselves. But we will also take the fight to you,” Osborne, Britain’s second most powerful politician after Prime Minister David Cameron, said in a speech at Britain’s GCHQ eavesdropping agency. VICTORY DISEASE. The affliction that is caught by most armies and nations after they have won a war. The disease is characterized by arrogance, a tendency to believe myths as to the underlying reasons for the victory, and a firm conviction that future conflicts should be fought the same way. If there is anything worse than an acute case of Victory Disease derived by winning a war, it should be Victory Disease caught after losing one — or perhaps two. Yet this affliction permeates American defense thinking and is in danger of crippling our preparation for war by channeling defense spending, innovation, and concept development along unproductive paths. Indeed, if belief in American exceptionalism can be expanded into the realm of military conflict, then future U.S. military operations are on firm ground. The current crop of defense concepts leans heavily on “aspirational” capabilities that often minimize the nature of military challenges in warfare and effectively wish away the unpredictability inherent to combat operations. The future operating concepts of the Army, Air Force, and Navy all describe capabilities that we “must” or “will” have in order to achieve dominance over an enemy force. The adversary (if it exists at all) is never mentioned, but can be inferred from the writing — technologically inferior, insufficiently agile, culturally disadvantaged, and mentally deficient. This uniquely American version of the Victory Disease postures an entire defense establishment for beating up on the little guy. Since the end of the Cold War, U.S. policy towards Europe has focused on fostering a “Europe whole and free,” which is taken to mean a secure, prosperous, and culturally integrated community of nations, built on shared values of free and open societies, democratic governance and respect for human rights, and market-oriented economic policies. During the same period, Russia came to be viewed as a partner rather than an adversary, reinforcing notions of a peaceful post-Cold War order. Events in Eastern Europe since early 2014 have called those assumptions into question. The Russian Federation under the leadership of Vladimir Putin has sought to revise the European status quo through force and intimidation for the first time since 1945 through the seizure of the Crimean and through Russian support for separatist rebels in Eastern Ukraine. The wars in Iraq and Afghanistan are conflicts of unparalleled complexity, but they reflect a larger trend of increasing complexity of conflicts throughout the world. Solutions to these conflicts have been elusive because the US military has focused exclusively on equipping its Soldiers with a narrow set of technical skills, an institutional mindset not suited to a complex world. By looking at the institutional shortcomings that hampered the efforts of the military using complexity theory and developmental psychology, we can effectively explain why the military has had a hard time dealing with complex conflicts and a whole range of other problems. Finally, a solution emerges that will enable us to handle greater complexity than ever before. The analysis presented applies mostly to the Marine Corps and the Army.